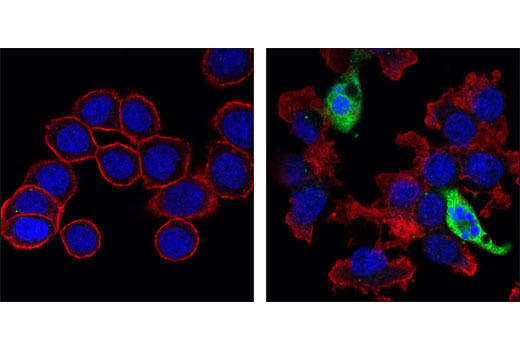 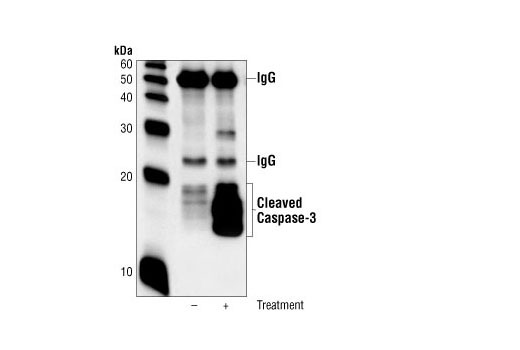 Cleaved Caspase-3 (Asp175) (5A1) Rabbit mAb detects endogenous levels of the large fragment (17/19 kDa) of activated caspase-3 resulting from cleavage adjacent to Asp175. 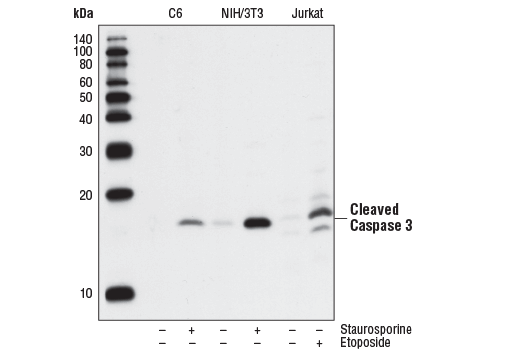 This antibody does not recognize full length caspase-3 or other cleaved caspases. 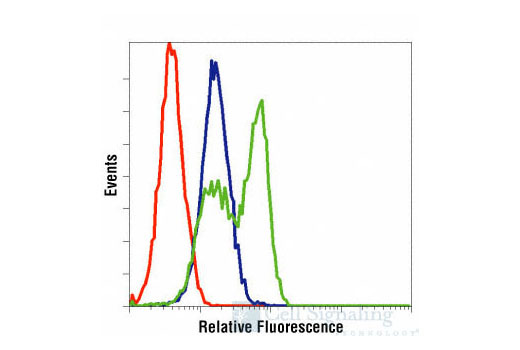 Non-specific labeling may be observed by immunofluorescence in specific sub-types of healthy cells in fixed-frozen tissues (e.g. 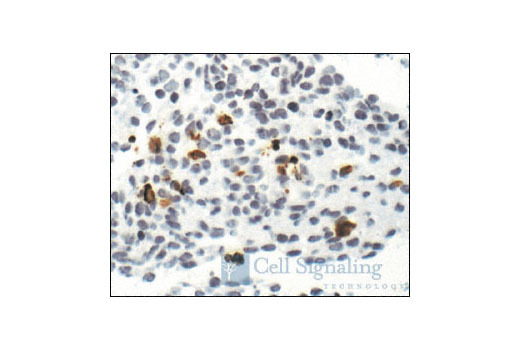 pancreatic alpha-cells). 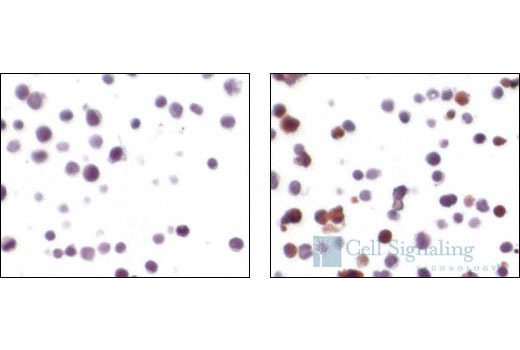 Cytoplasmic background may be observed in human and monkey samples. 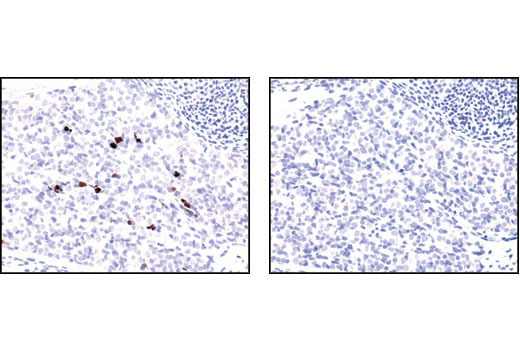 Monoclonal antibody is produced by immunizing animals with a synthetic peptide corresponding to amino-terminal residues adjacent to Asp175 of human caspase-3.